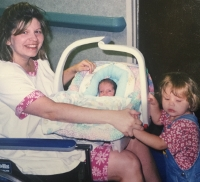 In 1996 Debbie May was working as a registered nurse and unexpectedly gave birth to a premature and disabled daughter. As her family financially struggled, Debbie learned the art of soap making and eventually started a small home based business named “May Showers”. Her products sold coast-to-coast through retail stores, craft shows, home parties, and fundraisers. The money earned allowed her to pay the extra medical bills, avoid bankruptcy and put food on the table. In 1998 Debbie was at a craft show and was approached by a woman hand making holiday ornaments. This woman asked Debbie if she was willing to teach her how to make soap. She went on to explain that she needed to learn a good selling craft to supplement her household income because her husband had recently lost his job. Debbie quickly said yes and gave this woman private classes. It was at that time that Debbie realized that her situation was not unique and many families could use help and extra money to “make ends meet.” Debbie was excited and passionate about helping others and it was this enthusiasm that led Debbie’s mother, Karen, to buy her a used computer. It was this computer that allowed Debbie to take care of the kids during the day and teach online classes (through chat lists and message boards) at night. In 1999 Wholesale Supplies Plus was established as a way to provide the public with affordable, professional quality soap making, skincare and candle making supplies. Debbie saw a need to provide home-based businesses access to the high quality materials that the “big guys” use to make retail products. From the start we have highly valued offering high quality products, outstanding service, reasonable pricing and education you can trust. Over the years customer suggestions and supportive vendors contributed to tremendous growth for then handmade industry. Wholesale Supplies Plus continued to grow and Debbie’s husband retired from his job teaching high school to manage warehouse operations. Wholesale Supplies Plus defined their core company values as integrity, accountability, passion, humility, simplicity, results and sustainability were the foundation of future growth. 1999 Wholesale Supplies Plus was founded as an online distributor of high-quality ingredients to produce small batches of handmade soap and cosmetics. Customers primarily work out of their home to supplement their family income. Hobbyists and small businesses welcome! 2001 Crafter’s Choice Brands was founded as a “brand” company. As the handmade industry grew many retailers were seeking quality supplies to offer to their regional customers. The quality of products offered by Crafter’s Choice Brands fills the market void. Crafter’s Choice does not sell direct but instead only through distributors. 2003 Template Place was established as a way to provide handmade artisans with an affordable ecommerce websites. 2006 Life Center for Autism Foundation was created as a way to give back to the community. Customers have the option to “throw in their change” while Wholesale Supplies Plus makes a match. The foundation has donated over $250,000 to local and national projects that improve the lives of people impacted by autism. 2007 The handmade soap and cosmetic industry continues to grow. Hired our 50th employee and moved to a new facility in Broadview Heights, Ohio. 2010 Began offering Free UPS Ground Shipping and implemented a robust rewards program that provides significant savings for repeat customers. 2012 Handmade Cosmetic Alliance was formed as a way to give the handmade industry a voice in Washington DC. Since 2008 large industry has been supporting new legislation that unintentionally harms handmade cosmetic artisan businesses. This alliance works with stakeholders so that any new legislation does not harm the industry. There are currently over 12,000 members of the HCA. 2012 Naturally Smart Labs was founded after Dave & Debbie May purchased the bulk soap division of Van der Hagen Enterprises. This acquisition allowed them to produce high-quality, private label melt and soap base in Cleveland, Ohio. They are the producer for Crafter’s Choice Melt and Pour Soap Bases. 2012 Handmade Magazine was launched as a way to provide the industry with free recipes and business resources. 2015 Moved to a new facility in Independence, Ohio that allowed all companies to be under one roof. This created staffing efficiencies and positioned us for new projects on our five-year time line. 2015 Handmade Studio was opened as a retail destination store for people to learn how to create handmade products and purchase supplies. Classes, parties and corporate events are just a few things offered. 2016 Milky Way Molds was acquired by Crafter’s Choice Brands from founder Catherine Failor who was seeking to semi-retire. Catherine has agreed to produce new artistic designs for many years to come. 2017 Handmade Stores was acquired by Template Place and the company name was officially changed to Handmade Stores. E-commerce and e-mall platform was launched as a way to provide customers with an economical platform for selling their handmade products. 2017 Handmade Conference was held as the first comprehensive industry conference of both manufacturers and makers was held in June and July. Industry leaders and manufacturers lead this intensive event. Topics include fragrance oil blending, cold process soap making, melt pour soapmaking, manufacturing body care products, legislative updates and how to start a business. Debbie and Dave May continue to be the sole hands on shareholders of Wholesale Supplies Plus and their related companies. Dave manages manufacturing and the warehouse operations. Debbie oversees strategic planning and all administrative departments. Their girls are nearly grown now and work at the company while going to school. The oldest is soon to enter the University of Notre Dame for graduate degree in Science, Engineering, and Business. Their youngest is in high school and has a strong interest in accounting. Their daughter with autism and special needs requires full-time assistance and is remains in school. Over the years, Debbie has become a recognized mentor, advocate and guiding light to the handmade industry. In 2012 she testified before Congress as an expert witness on the State of Cosmetics in the United States. She regularly speaks at industry events and small business conferences. 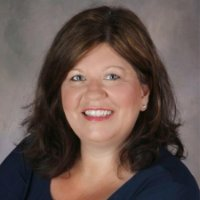 In 2015 she graduated from Baldwin Wallace University with an Executive Management, MBA.